Jan Strandling, executive producer, Giggle and Hoot. Natalie Robinson-Hurst and Clare Gerber, the design team behind the blockbuster preschool favourite, Giggle and Hoot, have won Silver at the Promax World DBA Design Awards in Los Angeles. The item that has added this latest trophy to an already crowded mantelpiece is the beautifully designed The Gigglearium set: the musical theatre venue that appears when Jimmy Giggle's Everyday Veggie Box comes to life. ABC Licensing's Beatriz Fernandez told Toy & Hobby Retailer that the company is looking into developing Giggle and Hoot wooden playsets and figurines with licensing partner, Discoveroo, and that the sets will feature a more general design to encompass more Jimmy, Hoot and Hootabelle day and night routines. 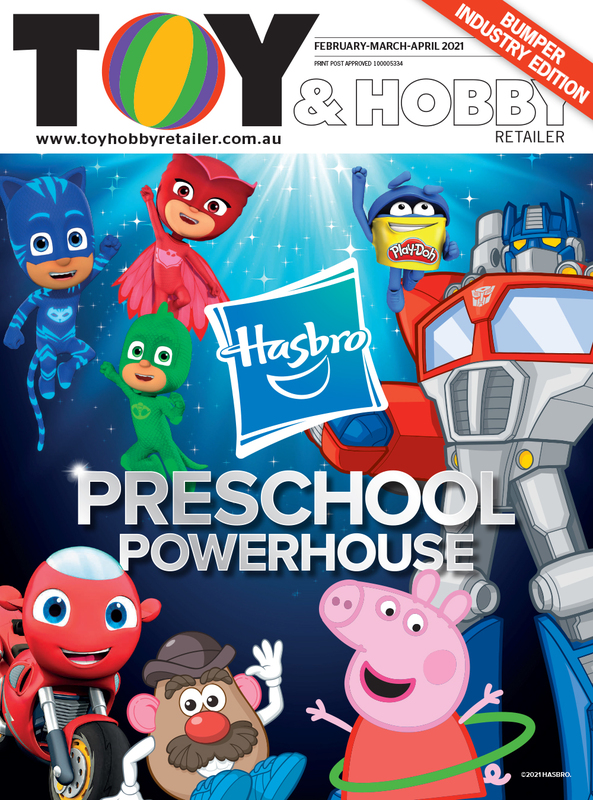 Toy & Hobby Retailer spoke to Jan Stradling, Giggle and Hoot executive producer about the program's latest win and it's distinctive design and aesthetic. Musical theatre and veggies would not appear at first glance to be a natural pairing; what was the inspiration for the 'mash-up'? The link between Veggies and the musical theatre that is The Gigglearium, is that every day things come alive in the Giggle and Hoot house because Giggle and Hoot has a magical element to it. The magic button makes strange things happen and Hoot has a whole world inside his chest of drawers – like his bathroom for Bird Bath Boogie – similarily, the Veggie Box can come alive and create wonderful performances for Jimmy Giggle, Hoot and Hootabelle. Where did Natalie Robinson-Hurst and Clare Gerber take their style cues from for the Gigglearium? We took The Gigglearium's style cues from a recycled fantasy world based on the Giggle and Hoot house. We kept the core elements from Giggle and Hoot, such as cardboard, buttons and beautiful fabrics, so it could be recognised as being part of the same world. The Giggle and Hoot house has a retro aesthetic to it from the '50s and '60s, but The Gigglearium more strongly references turn-of-the-century theatres. In both the Giggle and Hoot house and The Gigglearium set we focused on lighting and depth, so they really are beautiful. The Gigglearium took the wonderful ABC Designers and set makers about four months to conceive. We started with sketches and then constructed a smaller model of The Gigglearium that was completely dressed and designed before starting to build the actual set. The detailed curtains and fabrics were sourced and constructed by our costume designer to ensure we had an aesthetic continuity between the house and the theatre. Generally we tried to make the Gigglearium as rich in detail as possible – so far we’ve shot seven music videos in the theatre – and visual variety in terms of camera shots is essential. What other surprises can we look forward to on Giggle and Hoot? There are lots of new things going on at the moment: there are two new Gigglearium songs coming soon, featuring dance and rhyme and, we also have a new music clip called Giggle Galaxy, in which Jimmy and the owls zoom off into outer space. Our music clips an increasingly popular element of the show thanks to the combination of the songs we’ve created, the composers we’ve used and the beautifully imaginative graphics we've made. We’re also working on a top secret Giggle and Hoot special that will air early next year. I’m not giving away the theme except to say – Captain Jimmy and his shipmates will be setting sail across the button seas!